Matthew Atkins is a PADI Course Director and Kari Taylor Atkins is a PADI Master Instructor. Both are avid divers, extremely safety conscious, and committed to ensuring you get the best training there is. 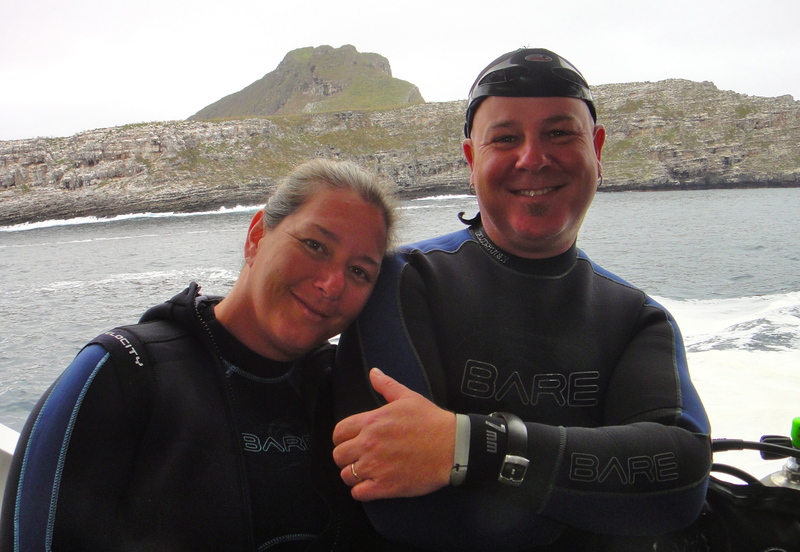 Matthew and Kari became certified divers in 2001 and worked their way up through the training until they ended up each doing a divemaster internship program in Cozumel, Mexico. Matthew became a divemaster in the spring of 2004, and Kari followed in his footsteps in spring of 2005. The following winter they both went to Utila Dive Centre in Honduras to complete their Instructor Development Course, and in February 2006 they both became PADI Open Water Scuba Instructors. They have both been actively teaching ever since, as well as continuing their own dive education. Leave a comment on this page, and we’ll get back to you. Call our VOIP line (780 651-1712), which follows us around the world, thanks to the magic of the internet. This number is based in Edmonton, Alberta.